Great things rarely happen from our comfort zones, and for the entrepreneur-in-the-making types, with big imaginations and even bigger ambitions, side hustles can be the key to lifting those business dreams off the ground. Growing your own business is difficult, requiring lots of time, organization, focus and determination. 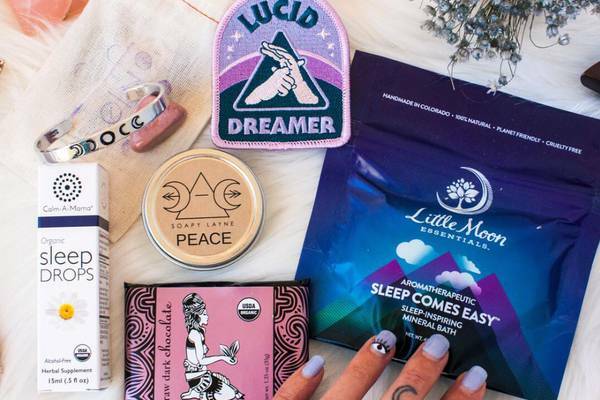 Now’s the moment to turn those dreams into action plans with some of the best subscription boxes for all you side hustlers. We've chosen some subscription boxes with personal growth books, personalized stationery, and more great tools to help you succeed. 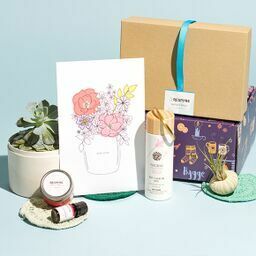 Specifically curated for people driven to succeed, these entrepreneur subscription boxes on Cratejoy’s marketplace are just the thing for small business owners, freelancers, and entrepreneurs who are ready to take bold actions to get where they want to be. What You’ll Get: Find the motivation to reach your goals by joining the Enlightened Warrior Book Club. Featuring 1 book, either fiction or nonfiction, selected to inspire personal growth, plus a mix of handmade goods and book-themed bonuses, each box helps create a calm, focused atmosphere that’s perfect for getting stuff done! To help integrate gratitude into your day-to-day, each box sends a gift of appreciation for you to give to someone else. What You’ll Get: Impress clients and competitors with the sophisticated organization packed into the monthly CLOTH & PAPER box. 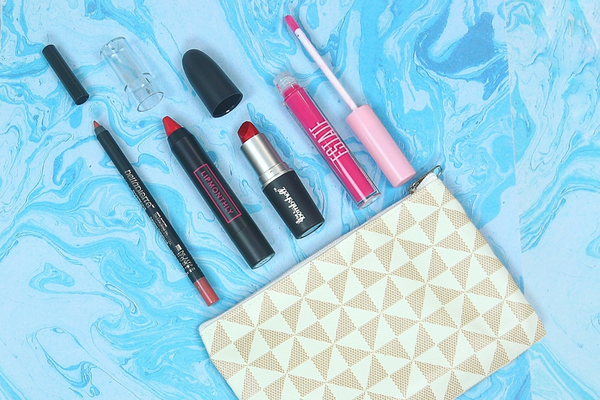 Featuring 4-7 useful items, like paper, planners and fancy pens, the thoughtfully curated supplies and goodies packed into each monthly box bring high-end style into the daily grind, and are perfect for those who are always planning the next big thing. What You’ll Get: Sparkle Hustle Grow is a great girl boss subscription box that’s designed to add some happy to your hustle. Available in 2 subscription levels, both curated specifically for women entrepreneurs, unpack 4-6 business tools, productivity goodies, and personal growth resources that help you develop new skills, crush your goals, and climb to the top of the boss babe ladder. What You’ll Get: Don’t waste valuable time in the greeting card aisle looking for a card with the perfect mix of artistic creativity and wit. The Flair and Paper monthly subscription makes sure you have something on-hand for all occasions by delivering 4-5 greeting cards and 1-2 extra stationery items in each box, showcasing beautiful artwork and sassy sentiments, while freeing up time in your busy schedule. What You’ll Get: Looking to experience personal growth and development? Crate The Life You Dream is passionate about helping women meet these goals so that they can achieve all they want. Featuring 1 best-selling self-help book, 1 life lessons summary, a mix of inspirational items, 1 aromatherapy scent, plus 2-5 supportive mystery gifts, each month’s box is packed with the goods to help women make those bold power plays and realize it’s possible for them to live their best lives. What You’ll Get: If your side hustle requires lots of creative input or fun, eye-catching packaging, grab the Yellow Bess Box monthly subscription for high-quality, personalized products and fun DIY projects. Sending 1 custom item from rubber stamps and brass wax seals, to engraved Swig drinkware or embossing stamps, unbox something distinctly unique that will help you stand out in the crowd. What You’ll Get: Yoga and hustling may seem at odds with one another, but for yogis building a career, Yogabossbabe is so much more than a box of stuff. Featuring a book each month that focuses on personal growth, along with yoga accessories, self-care items and office goodies, each box brings extra motivation to stay the course. Join the active online group that provides accountability buddies, coaching, and extra encouragement and support. What You’ll Get: Challenge yourself to step out of your personal comfort zone in a quest for continual self-improvement with the bi-monthly My Be Better Box. As part of the Be Better Movement campaign, each box delivers 2 months of printed wellness challenges, 6 wellness products to help with the challenges, and an accountability check-off chart. Each box reinforces that when you take on a challenge, you can reach that goal, and for every challenge met, a charitable donation is made to keep that positive momentum going. What You’ll Get: Vision boards and visual representations of personal goals can be beneficial to staying focused. Scrapbooking is a great way to produce these visuals, and the Zakka Kit brings beautiful, bold Japanese craft items to make it happen. Each month's box is curated with 6-7 high quality paper craft items from art prints, to washi tape and stickers, all perfect to infuse those goals with a little joy straight from the land of the rising sun. What You’ll Get: CoachCrate is like having a life coach at your fingertips guiding you through the challenges of starting a new business. Each themed monthly box includes a book with a reading guide, access to exclusive online coaching sessions, and 3-6 productivity, relaxation, growth and wellness items. Get the inspirational advice you need to push yourself to be your best. What You’ll Get: The new art tools and techniques packed into the ArtSnacks subscription box help target your creative musings. Make the most of artistic skills and talent with 4-5 full-size tried and tested premium art products in every box. Explore new supplies, different brushes and tools, and new methods and mediums in search of what works best for your creative endeavors. What You’ll Get: Going full-on into something you’re passionate about can leave little time to focus on self care. The Go Love Yourself box helps you make it a priority to put you in the right frame of mind to be your best. Delivering a book that provides a new perspective on personal growth and 3-5 self care items, this box aims to help everyone connect to themselves and learn valuable strategies to bring more happiness into life. What You’ll Get: Muse-Illuminate is packed with all the benefits of a pro seminar delivered right to the front door. Each month’s box sends 1 motivational New York Times bestseller, plus 3-5 bookish items, exclusive workbooks and goal-oriented activities, all designed to keep you on task and continuously moving towards your goals. Enjoy access to an online library of webinars and helpful blogs and hold yourself accountable with a monthly check-in with a mentor. What You’ll Get: Help yourself or someone you love get a running start on a side hustle or passion project with the Everyday Manifest, delivering a 30-day challenge each and every month. Designed to help kickstart ideas from vision board to action, each day is structured to help every woman dream big and set obtainable goals to commit to. Each monthly box includes a 30-day journal, habit trackers and writing prompts to help bring clarity and focus. 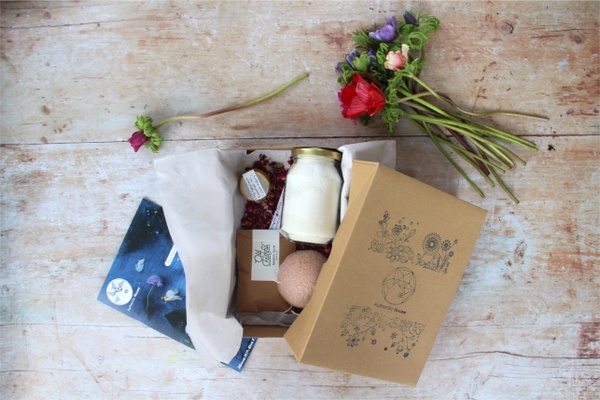 Didn’t see the perfect subscription box for your entrepreneurial spirit? Check out our other guides below!